Great waterfront property located on a saltwater canal with access to Charlotte Harbor and the Gulf of Mexico. Located in the heart of Port Charlotte with easy access to amenities including the Murdock Town Center, Charlotte Sports Park(home to Tampa Bay Rays spring training) and some of the best medical facilities in our area. If you are looking to escape cold winters and find the Florida dream, here's your opportunity. 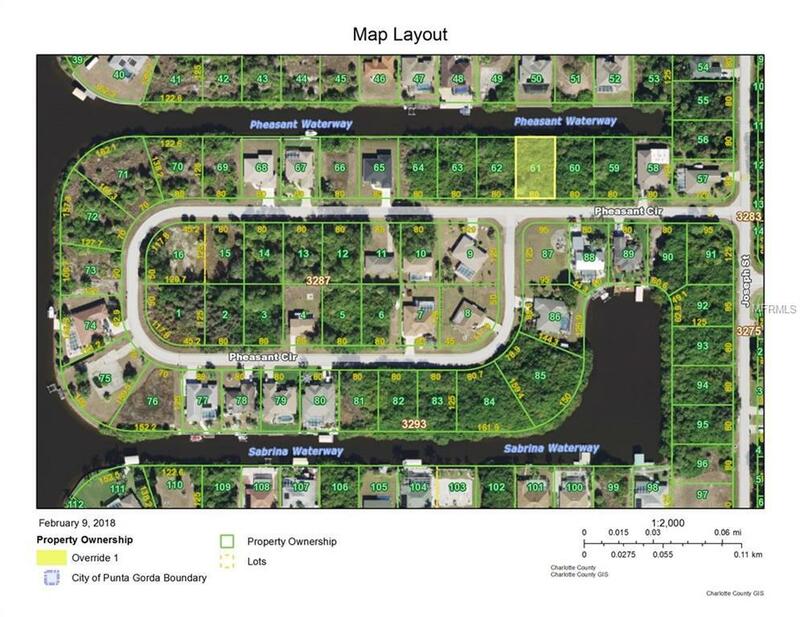 All you have to do is purchase this affordable lot, build your dream home, and you're on your way to enjoying the world class boating and fishing this area has to offer. The two lots next door are also available...buy all three and build your own waterfront mini-estate!